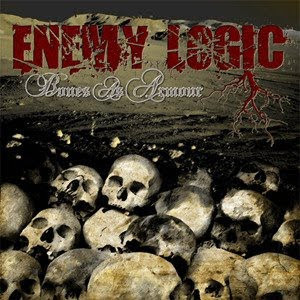 Enemy Logic burst onto the metalcore scene with their first release Bones as Armour. Hailing from Cork, Ireland, the Corkonian band call this place the “real capital of Ireland” and themselves the “Rebels”. Filled with angst, anti-establishment and anarchy, these are definitely my kind of folk. Let's get into some rebel metal. Get on your “Intro” with a dark, building piano piece that transitions beautifully into the blasting beginning of “Scatter the Ashes”. This track definitely gets you in the right head space immediately. Drummer Dan supplies excellent back up vocals here and throughout the rest of the album. His drumming ain't too bad either. “Bones as Armour” trudges in with a slow, chugging intro riff before parlaying that into a reason to speed it up. This is where you get your first taste of Enemy Logic's use of offsetting melody. It is this change in style that is the highpoint of the album for me. Keep it heavier it on “Shattered Ego”, then keep it a little clean with a stylish outro riff before being thrown back into the pit. “Where You End And I Begin” shows it's roots from bands such as Caliban and really kills with a transformed, breakdown outro riff. An energetic chorus riff makes “Eternal Guilt” a stand out track on the album. “The Victim Must Be Silenced” is standard fare for the band at this point, but it has a lot to admire. If you didn't read the track listing you might not have realized that the next track is a cover of Johnny Cash's “Ring of Fire”. They make this song their own by altering the main riff into breakdown form 2:04 into the track. Counting in at just a little over 30 minutes, Enemy Logic sure do pack a lot into their first major release. Loads of energy and heaviness emanate from this 8 song EP. I think the vocals are too low in the mix, but it's not something that really affects the album. Give these rebels from Cork a go. 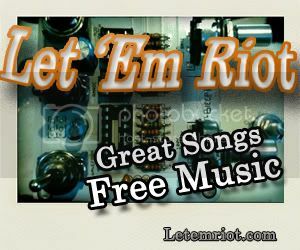 If you like Enemy Logic, check out: Caliban, Arch Enemy, Soilwork.